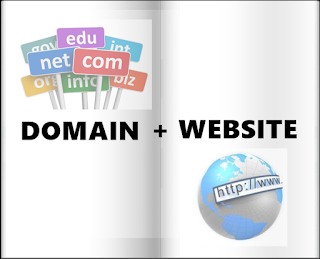 It is important to have domain and website to make this match perfect. This can be split into two different parts. The first is the domain name itself. For example, if you want to sell yellow flowers and the domain name is yellowflowersforsale.com is going to help you rank better in Google as you're using a keyword domain. The second part is you gaining control because it is your website and you can get to choose what you do and do not show. You can display what you want to the customers and even hide pages if you don't want Google to crawl them. 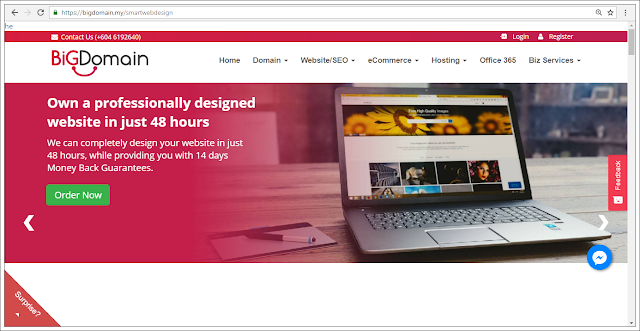 You might be thinking that all these domain business and website creation are quite costly, but it really isn’t. The more years you purchase, the more cheaper is the domain you choose. You can type your own unique names on the domain search tool from our website - Big Domain. Once you have your domain name, you can set up a website. If you want to go it alone, websites such as Blogger, Wordpress and Wix can be really helpful. However, if you want for your business, you could create a bespoke website using a local website design team. This has the added benefit of being 100% editable (rather than just using themes). You can check at our website too - Big Domain Smart WebDesign. Once you have your own domain name, you can showcase your work. You might be using social media to do this currently, but a domain and website works far better as Google prioritizes websites over social profiles in search results. Anyone who has a website and domain will also tend to have a blog. It is a great way for businesses or freelancers to give something to those visiting the website. A blog can show news about you and your company, and share relevant news and updates within your specific industry. Branding is very important in the online world, so you’re missing a trick by not having your very own domain. For our opinion, if you're beginner for your blog, you no need to buy any domain yet. When you're ready to get own domain for your blog, then you should get your unique domain for your blog. There are so many options for you to choose from our website - Big Domain. If you’re doing a business, you absolutely need to have a website because this is the main way that people can find you and understand your business in online. It doesn’t matter if you only sell one product or offer one service, you can let people know what you’re about on a simple one-page website. We guarantee your customer base will grow as a result. The option to create and disguise your own email when you think of out of the box which is your unique name. For example is rebecca-unicorn.com and your email will be rebecca-unicorn@hotmail.com. If you elect to have a private domain name registration, the registrar can provide unique email addresses that constantly change in the WHOIS database (which lists all domain information for all websites). Changing the email address stops you from being contacted by spammers, reducing the amount of emails you get in your inbox. Do you have your own domain name? Want to get own website for your business? We’d love to help you and/or your business! This is the contact number you can contact - 0182430118 (Miss Jeslyn) for more information. When you apply for a new job, the first thing recruiters and HR people do is examine your resume and perform a Google search on you. This is because of social media has such a strong online presence, you run the risk of having your personal profiles pop up first. Establishing a website and promoting it properly which it could helps with rankings and keep your personal profiles out of professional searches. A website can become your most efficient brand management tool, regardless of your business. When you meet someone new, first impressions make a huge impact. In terms of the online world, your website becomes the first impression. The better the impression, the better your brand in terms of awareness, reach, projects and jobs. Your site like a high-quality resume definitely helps you stand out. It demonstrates your creativity and experience, highlights your strengths, and focuses on your positive attributes. If you control your own identity on the internet while build an awareness and reach all potential managers and companies will notice your efforts. They’ll be able to find you easily and immediately build a connection with you. Your website puts you on the map for people all over the world. Overtime, you’ll foster more connections, one of which could become your next big job. More exposure means more projects and contracts. Aside from highlighting your positive qualities, building your site can round out your skills and make you more appealing as a potential hire. Even the simplest website building tool promotes creativity! From formatting the layout to picking images and writing content, your site is an opportunity to showcase your value. Want to create a beautiful website in 48 hours? Try Big Domain Smart WebDesign. No matter your business niche, you'll be able to wow visitors with a sleek and professional design.